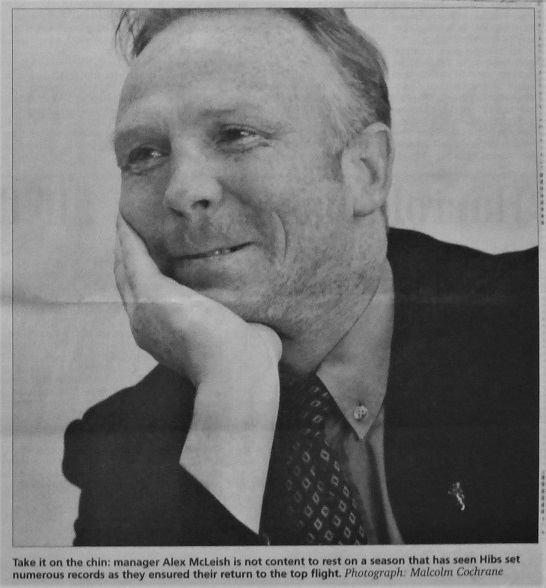 Categories: Press cuttings | Tags: Alex McLeish, promotion | Permalink. 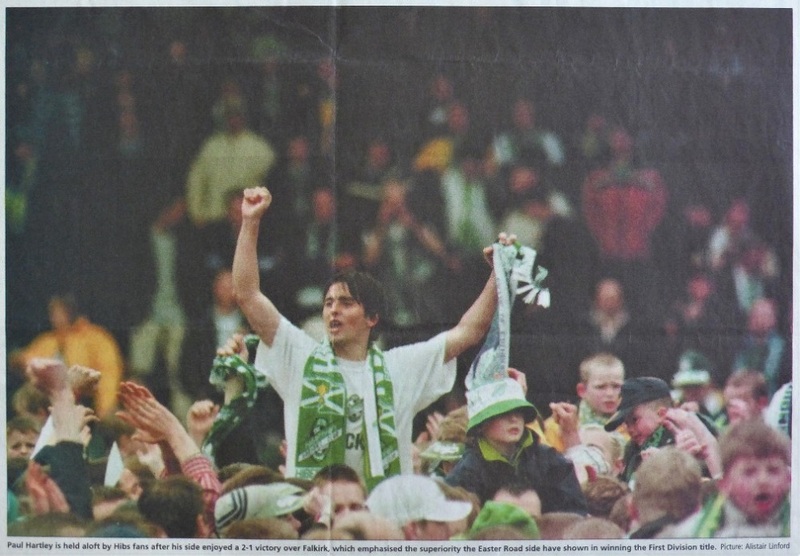 My apologies – below is a picture of Paul Hartley being ‘held aloft by Hibs fans’ and not on the end of a pointy stick. 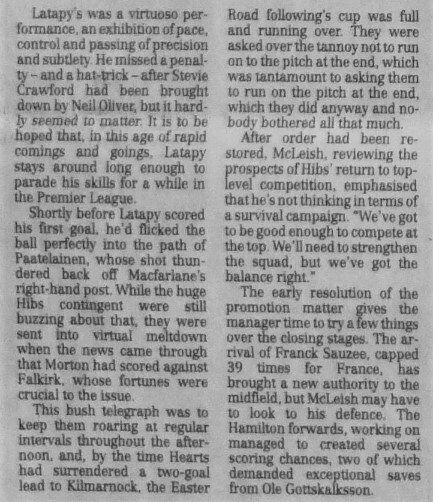 Categories: Press cuttings | Tags: championship, Falkirk, Paul Hartley, promotion, trophy | Permalink. The title, and promotion back to the El Dorado of the new-look SPL, was wrapped up with five games to spare. 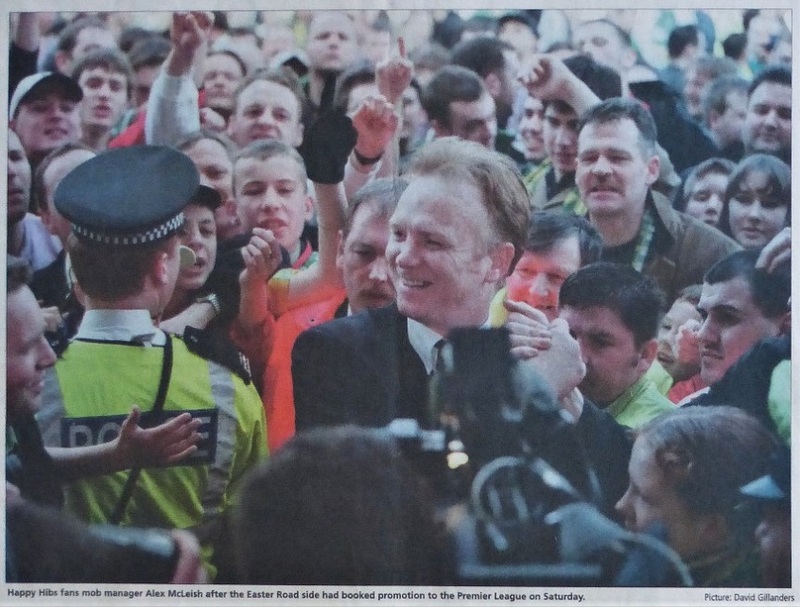 Categories: Press cuttings | Tags: Alex McLeish, championship, Hamilton Academical, promotion, Russell Latapy | Permalink. I’m not sure whether it is sad or pleasing to relate that the last thing Gordon Hunter kicked in a Hibs shirt was not the ball but an Airdrie player. 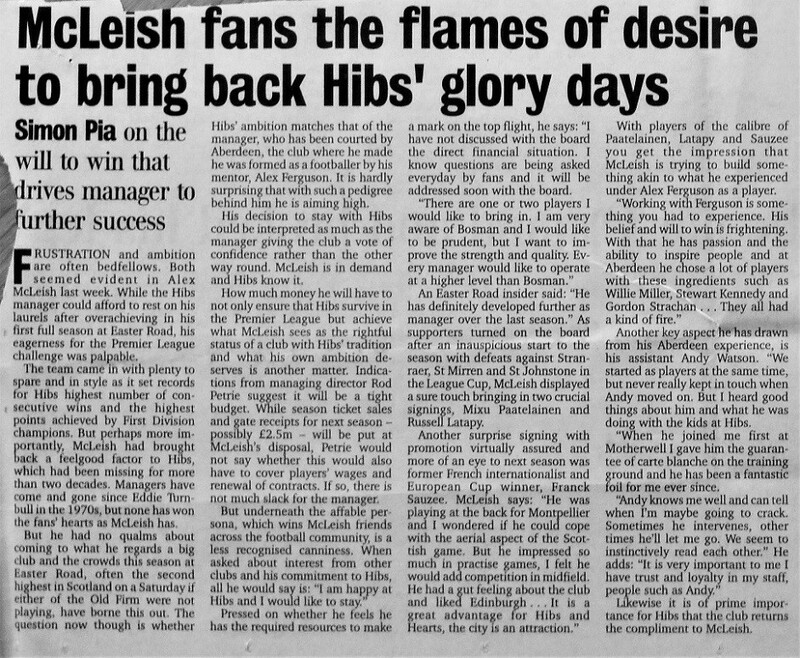 Either way, his sending-off brought an end to more than 10 years of honourable service at Easter Road. Still only 30, Hunter headed for Australia hereafter, before returning to see out his career in the lower leagues (bar 3 SPL games for Dundee) at Cowdenbeath, Hamilton and Stirling. Hunter’s suspension for the second leg of this relegation/promotion decider, together with the slenderness of victory by an own goal, made it understandable that Jim Duffy should question the virtues of the play-off system. No doubt Alex MacDonald was more optimistic of Airdrie’s chances and satisfied with his side’s ability to niggle and rile their opponents. 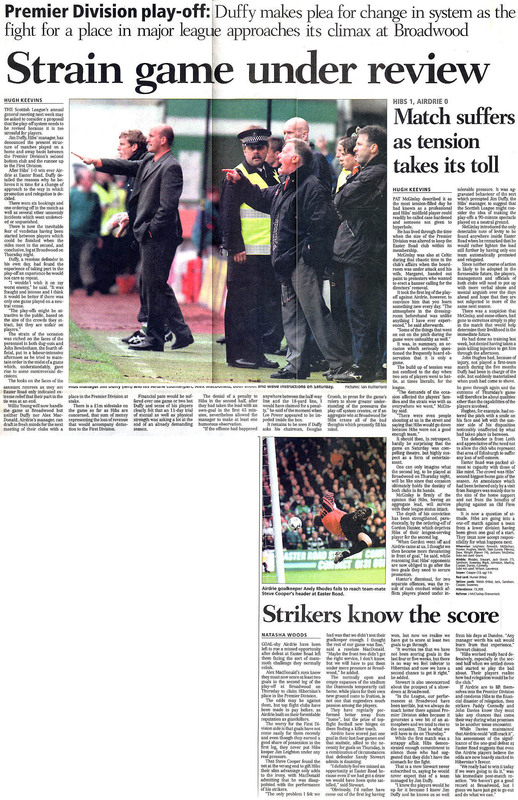 Categories: Press cuttings | Tags: Airdrie, Alex MacDonald, Gordon Hunter, Jim Duffy, play-off, promotion, relegation | Permalink.